Aaron Ward creates customized investment strategies for family and business clients across the nation. He helps individuals and their families develop, implement and maintain comprehensive strategies to reach their financial goals. 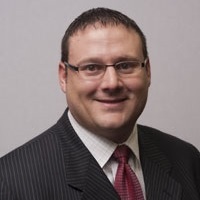 For business clients and entrepreneurs, Aaron works with other members of the owner’s financial team to coordinate the design and management of their benefits package, retirement solution and future transition. Following his active tour of duty with the U.S. Army in Iraq, Aaron graduated with honors with a Finance Degree from Missouri State University. In his free time, he serves on the United Way Allocations Committee and enjoys the study of martial arts. Aaron and his wife, Heather, reside in St. Charles, Missouri.